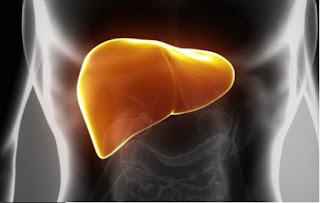 The liver is a vital organ in the human body, as it plays a major role in detoxification. Whatever that passes through your mouth, be it food, water or drugs, the liver has to bear the burden of removing the toxic substances found in them. Moreover, eating foods or drinking water that are contaminated or unhygienic can place you at risk of acquiring liver disease. As a result of this, it is not only important that you place in high priority what you eat and drink but also you should include foods that helps in the proper functioning of the liver. What other foods can be better than those that aid in cleansing the liver, thereby decreasing the toxic load on the liver. Below, i will be sharing some useful and simple diet tips to detox or clean the liver. The potencies of fresh fruits and vegetables is no longer a recent discovery, and by now i guess you should be aware of most of them. Eat fruits and vegetables that are rich in dietary fibre and antioxidants, which assists in flushing out harmful toxins from the body, thereby promoting proper functioning of the liver. By including fruits such as carrot, apple, green leafy vegetables, beetroot, garlic, walnut etc. in your diet in a regular basis, can go a long way to help in preventing liver disease. Carrots are rich in niacin, vitamin B2, which is needed in the breaking down of foods and also to avoid the re-absorption of toxic compounds caused by food degradation. Garlic is rich in selenium and beetroot contains pectin. all these plays a major role in the liver detoxification. Contrary to what most people belief, olive oil is neither denser nor high in calories. In fact, cooking with olive oil keeps you full for a longer period and prevents unnecessary eating. To add to that, it also reduces your cravings for sugar and it contains omega-3 fats which is a healthy fat, thereby lowering your risk of liver disease. And hence, the overall effect on the liver is reduced thereby aiding in the absorption of nutrients and the elimination of toxins from the body. A health expert suggests that eating alternative grains such as millet, quinoa and buckwheat over the ones that are refined might assist in reducing the toxic load on the liver. These alternative grains contain fibre, which plays a major role in clearing the toxins filtered by the body so that these harmful substance are not absorbed by the healthy cells. I guess you already know that leafy vegetables are undoubtedly healthy for your liver, but including cruciferous vegetables such as cabbage, cauliflower and broccoli in your diet is an added advantage to your liver. The reason why cruciferous vegetables are healthy for your liver is because they provide high amounts of sulphur, which improves the detoxification process and also prevents the liver from damage. Do not forget to include turmeric in your diet as well. They contain anti-inflammatory and antioxidant compounds, which helps in flushing toxins from the body which may eventually cause liver damage. Turmeric also protects the liver from the effects of excessive intake of alcohol and unhealthy fats. Presence of curcuminoids lowers the damaging effects due to excessive cholesterol, and it also prevents alcohol-induced liver disease. Instead of going for your regular cup of coffee or tea, you can switch those for lemon juice or green just to enhance the health of your liver. You can also avoid your regular intake of aerated drinks, because they increase the toxic load on the liver. Preferably, you should be drinking plenty of fluids like water, soups, lemon juice or green tea. The antioxidants and polyphenols present in the green tea prevent inflammation of the liver. The presence of vitamin C in lemons also helps in flushing toxins off your body. In summary, the key tips for a healthy liver is to eat foods from all the food groups, example from grains, dairy products, protein, vegetables, fruits and fats. Try as much as possible to limit your intake of unhealthy fats and consume lots of fibre-rich foods like fresh fruits and vegetables, whole grain breads, rice and cereals. Feel free to share the article if you find the information helpful.